What’s more, with enhanced functionality, which lets the driver retract the roof while moving, the adventures and possibilities will feel endless. With its extended wedge-shaped silhouette, elegant roof and honed front section with a new inward-sloping double kidney grille, the BMW 2 Series Convertible grabs attention from every angle. Add to this the impactful rear, with its accentuated width, inspiring L-shaped lights and chrome-plated exhaust pipes, and this Ultimate Driving Machine is ready to steal the limelight. 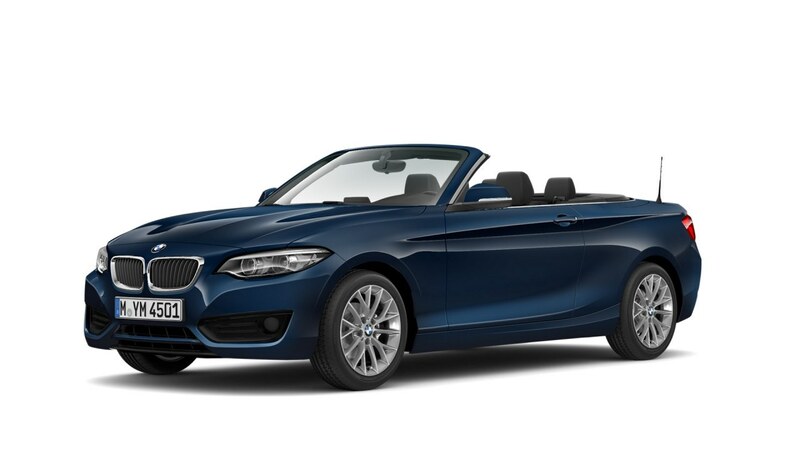 The electric roof of the BMW 2 Series Convertible can be operated automatically at speeds of up to 30mph. With the roof closed, the use of high quality fabrics ensures that the sporty presence is still felt. The multifunction three-spoke Sport leather steering wheel comes in black and also boasts a magnesium core and decorative Chrome trim. Experience high-quality and perfectly finished upholstery throughout the interiors thanks to fine ‘Dakota’ Cognac leather. Standout with Aluminium Hexagon Interior trim finisher with matching high-gloss Black accent, a host of elegant chrome details and an instrument panel with contrast stitching. Stand out with dynamic light alloy wheels. The standard 17” wheels are sporty and aesthetic, while the optional 18” alloy wheels Double-spoke style 384 add even more flair. Make the city your own personal playground with the BMW 2 Series Active Tourer. Boasting free-revving efficient engines, it can handle any urban adventure you throw at it. The BMW 2 Series iPerformance Active Tourer accelerates your everyday life. 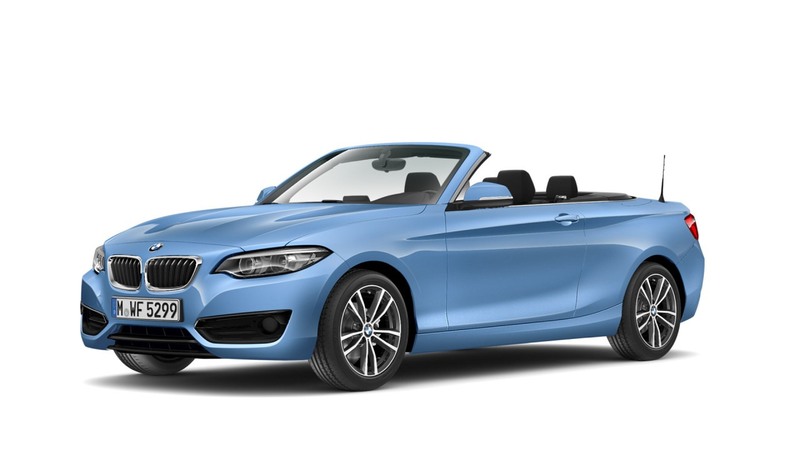 Boasting BMW eDrive technology, it allows for journeys ranging up to 25 miles in purely electric mode – without any local emissions and practically in silence. The BMW M240i Coupé thrills from every angle. Whether it’s the powerful rear-drive performance or the chic sporty presence, it’s ready to set pulses racing.